Daytona Beach, Florida — For the second time in two years, Chase Elliott won the second Can-Am Duel at Daytona. The rule of the duels: one race will be tame and the other will be anything but. In some senses this moniker held true Thursday night. The first race was predominately line racing, only getting dicey on restarts and in overtime. The second, while having less wrecks than the first was an event run with a more aggressive, snarling pack. Two and three-wide racing didn’t last the entirety of the 60 lap race. A small “big one” broke out along the backstretch, the intensity of the race seemed to become a bit more cautious from this point on. As the race wound down, Chase Elliott led a line of cars around the outside groove. Denny Hamlin was behind him, Kevin Harvick and Clint Bowyer were the next two drivers in line. With less than three laps to go Harvick dove under Hamlin going into turn-one. He “knew it was going to take two moves” if he wanted to drive into victory lane. His pass on Hamlin was successful but he never built enough of a run to challenge Elliott. 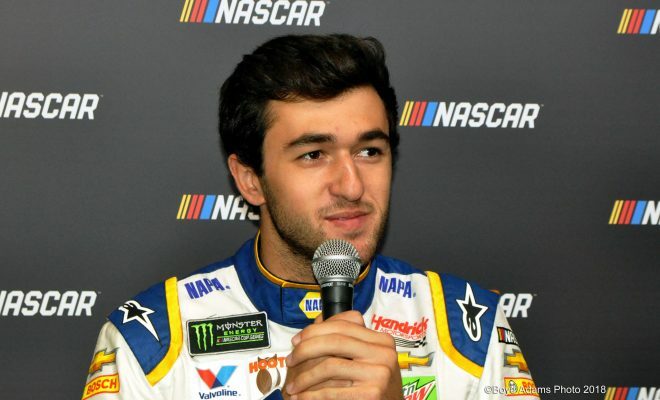 Chase Elliott leans against his, then, No. 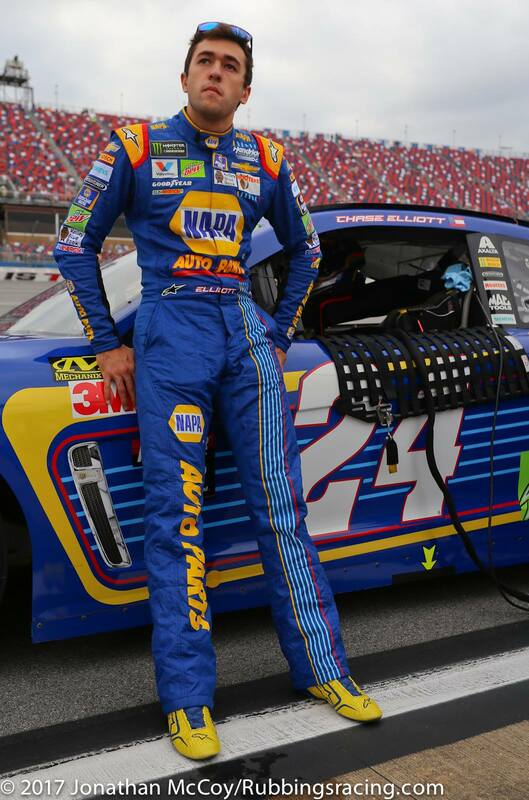 24 Napa Chevrolet before last fall’s Alabama 500. Photo by Jonathan McCoy. 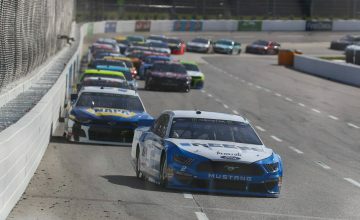 Speaking on what he learned from what was essentially a practice race, Harvick remarked “Bowman didn’t learn anything today.” Understanding he’s guaranteed the pole position for the feature event of Speedweeks – so long as he keeps his car in one piece – Bowman elected to ride a football field, or two, behind the pack for the entirety of the first duel. 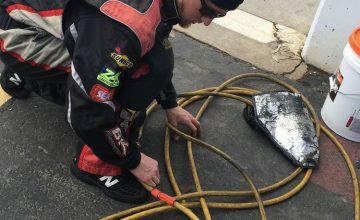 Alan Gustafson, the winning crew chief said he “certainly understands” what Bowman did. This year the cars are driving far differently than most drivers have grown accustomed to, with handling meaning so much it’s easy to see where Harvick is coming from. 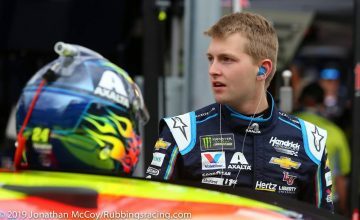 Of course, Gustafson and Bowman both work for Hendrick Motorsports – would we expect him to take issue with Bowman’s decision? If there’s one take away from these qualifying races it’s this: handling, not speed, will be what wins the Daytona 500.